Working title. Our main project and next big game. There’s not much set in stone yet, but it’s kind of a mixture between Settlers & Civilization with a ton of crafting & resource management. Originally we intended for it to have a SRPG like combat side to it, but as the project has evolved we’re probably skipping that. Partly due to the fact that it would greatly increase the scope of the project. Unfortunately it literally contains nothing but code right now so we have nothing to show unless you like screenshots of c#. We’ll get back to you with pictures when we have something. Target platforms right now are desktop PC’s, later followed by smart phones. It’s likely a GUI-heavy game and we want to take the time to make proper GUI’s for both platforms. Right now PC’s have priority, but it may change down the road. 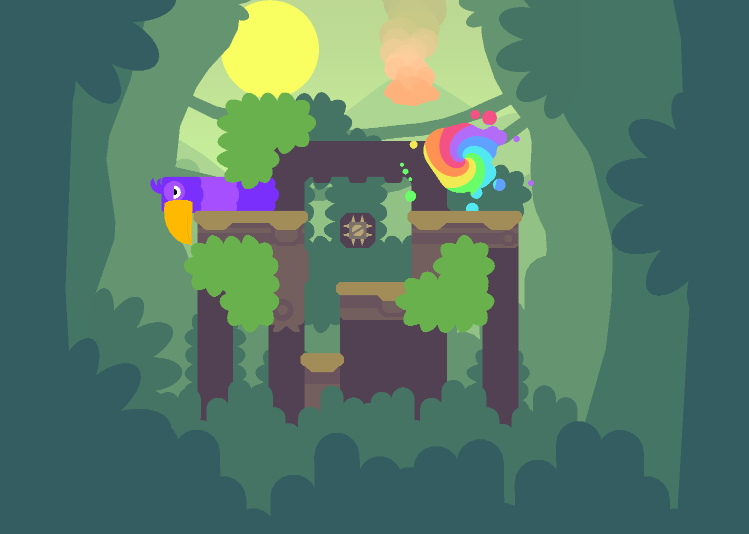 Another version of snakebird, but with a much much lower difficulty aimed at children and/or adults who don’t want to put up with the shenanigans of the previous game (this includes some of us at the office). Featuring an entirely new set of levels (expecting between 70 and 80), two new areas and some other stuff. This is the project that is close to being done. The “only” thing we have left to do is more thorough play testing, which is proving a lot harder than expected. Because of this we’re not entirely sure what the target age actually is yet. We’re looking to release sometime this year on the same platforms as the old version (pc, mac, linux, iPhone and android). Working title. The third and final project. 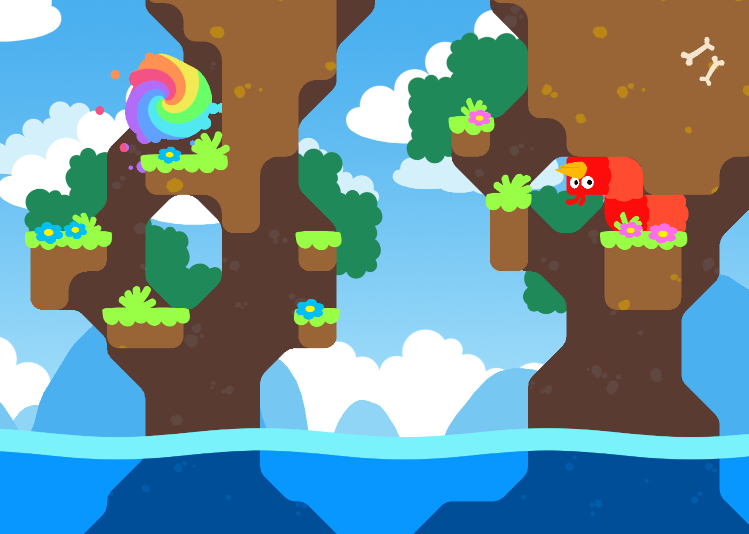 An old school platform action game with some modern touches. It encourages going fast while figuring out creative ways to maintain high speeds. The game is something one of us has been working on on his own as a personal hobby project, something that is unlikely to change so progress will continue to be quite slow. It’s impossible to say when it will be ready and parts of it are still very much early works in progress. We’re looking to release this on desktop PC’s. On top of that one of us got hold of a VR setup and has been prototyping stuff for it. It’s a lot of things going on at the same time for a team of three, but we’re making it work somehow. 2017 will be interesting, that’s for sure.